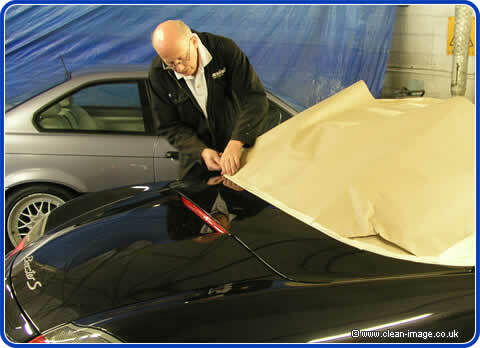 Car Buffing - Willy Winterfalk of Allbrite Europe tells about the Allpad Buffing pad system. 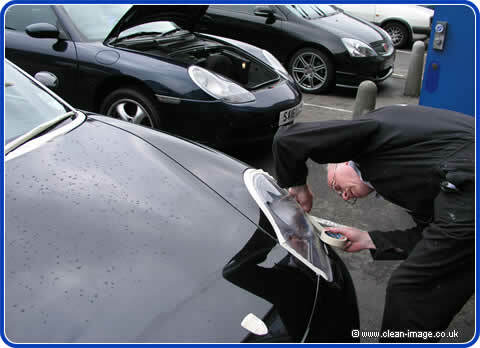 Earlier this year Willy Winterfalk from Allbrite Europe spend a week at Clean Image during which time he did a bit of valeting, and buffed a couple of cars - which led to a number of great articles that have become something of a talking point on the interweb. Willy has just passed through Blighty again on a flying visit and I was able to nail him to the floor for long enough to get him to talk me through the photos I took of a Black Porsche that he buffed, polished and detailed using his wonderful range of products. I also managed to pick his brains about buffing techniques which I will be covereing in Part 2. I hope you find both parts of this article informative and welcome any feedback or questions you may have. Upon inspection, the Porsche wasn't too bad. 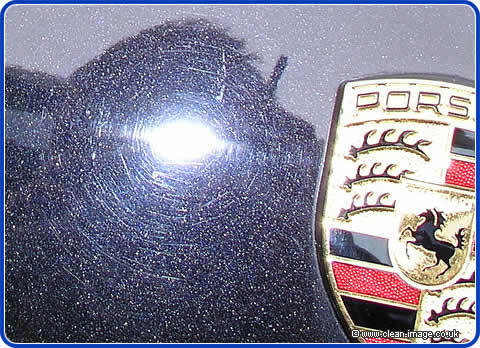 It paintwork wasn't particularly badly scratched, but there was the normal kind of swirl marks that are caused by car washes and even washing by hand. There were about 8-9 deep scratches around the vehicle but none had gone through the clear coat. The paintwork was a little dull and flat on the upper surfaces. Machine polishing can remove the oxidized paintwork that makes the car look flat, remove the light scratches, and at the very least reduce the effect of deeper scratches, restoring a shiny mirror finish which should actually be better than when the car was brand new. I decided that this was a job I could do within one day. As the car wasn't filthy dirty I was able to mask the car before washing. This is done because on a cold day like this it takes a long time for the water to dry and masking tape won't stick to a wet car. But once the masking tape it on it won't easily wash off. I used brown paper to mask out the roof to protect it from wax, polish and compound that might been splattered against it by the buffing pads when used at high speed. The car was then washed using TFR (traffic film remover) and then I used Japanese Natural clay and Allbrite's clay bar lubricant to remove contaminants such as metal particles, concrete dust and other forms of industrial fallout. Our Japanese clay is more expensive that other brands, but it is the original and the inspiration for plastic detailing clay, although it has never been bettered. It's a far superior product that removes fallout efficiently without causing scratches.